This is our top 10 superfoods list of recommendations for those of you looking to take charge of your own health by eating some of the best quality foods available. As problems associated with adrenal fatigue, malnourishment, neurotoxicity and autoimmune disorders are becoming more common these days, it is sometimes necessary to look to a higher class of foods, herbs and super fruits and truly use the foods you eat as your medicinal allies. Whether you are embarking on a complete dietary makeover or merely inspired to begin increasing immediate nutrient uptake, the list below will give you some options of where you might want to begin. These are plant-based foods, tonics, algaes and extracts chosen to provide a full spectrum of possibilities for naturally enhancing energy levels and encouraging greater states of health and well-being. This list is a little different than the classic superfoods list, frequently promoting the average fruit or vegetable. While for a majority of people making the shift to a more vegetarian whole foods diet can be an upgrade nutritionally speaking, the group of foods we are primarily talking about here are comprised of unique and highly concentrated substances not present in everyday foods that we typically consume. Superfoods contain different elements like polysaccharides, chlorophyll, minerals, omega-3’s, enzymes, B vitamins and adaptogenic constituents as well as very special plant compounds like triterpenoids, b-glucans, anthraquinones, isothiocyanates, phycocyanin, MSM and algin. These are some the magical components that make superfoods a step up from the rest, nourishing the body in condensed doses on deep levels. They are specific for individuals looking to help improve adrenal strength, vitamin-mineral uptake, digestive fortitude, libido, immune response, neurological capacity and/or vital organ functioning. Certain superfoods on this list may personally call out to you, whereas others might be less appropriate for you and your current health goals. We do not claim that any of these superfoods will increase the length of one’s life or cure long term illnesses, but they can have a profound influence on the quality of one’s life, working to enhance our day to day experiences. In addition, adding in more top superfoods to your daily beverages or teas may also provide the guidance necessary to make other health promoting changes on physical, mental and spiritual levels. This can come with its own set of side-effects that may also indeed include increasing one’s lifespan. Some of these foods come in a whole, bulk or powdered forms depending on your needed level of convenience and can be easily incorporated into your present dietary regimen in the form of shakes, smoothies or creatively used in many other recipes. Find out more about each of these top 10 superfoods on the pages of this website and discover which ones might be particularly suitable for you and your present health objectives. For more top superfoods, you might also like to see our other secondary list of superfoods to give you some more recommended alternatives. Reishi is a medicinal mushroom variety commonly used today in the form of a tea or a powdered hot water extract. Reishi has been used for thousands of years in Asian cultures and is classified as major Chinese tonic herb useful for calming and rejuvenating the nervous system as well as providing a good nights sleep. Containing a high amount of beta-glucan polysaccharides and antioxidant triterpenes, like ganoderic acid, it is a powerful immune system modulator and adaptogen often used therapeutically as an anti-inflammatory and antitumor agent. 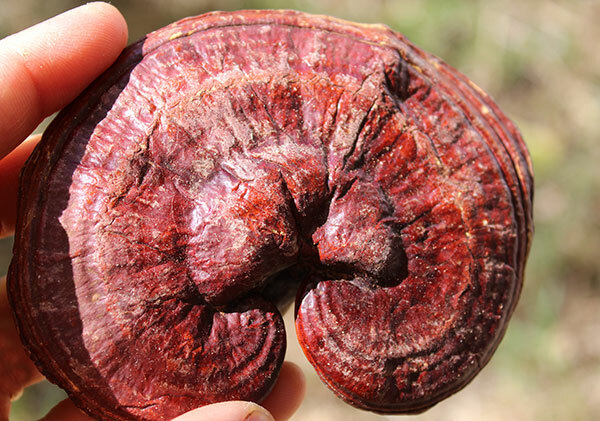 Reishi is known to improve the functions of the liver, increase oxygen utilization and can be very helpful for a variety of autoimmune disorders. Recent attention has been given in scientific studies to the actual “spores” or “seeds” of the reishi mushroom which contain high amounts of the active triterpenoid constituents. Reishi mushroom can be brewed as a tea or used as a hot water extract available in powder or capsule form. Spore oil or spore crystals can be added to water or drinks and are also sometimes blended with extracts to increase their potency. Only recently popularized here in West, goji berries (also known as lycii berry) have been used in Chinese herbalism for centuries and commonly brewed as a tonic herb with other tonics in herbal tea decoctions. Goji is very high in polysaccharides, often referred to as Lycium barbarumpolysaccharides (LBP’s). These polysaccharides fortify the immune system and have shown to be effective in raising the health enhancing antioxidants superoxide dismutase and zeaxanthin. 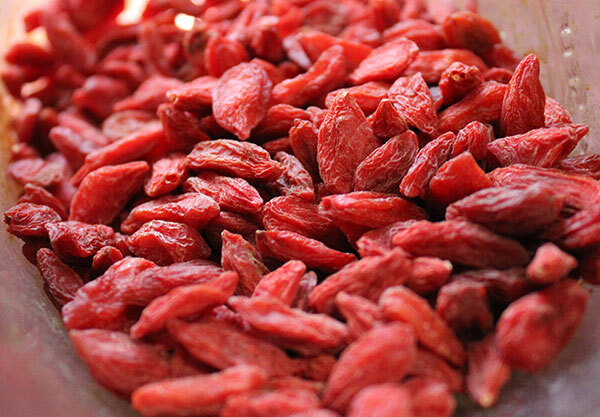 Goji is very high in beta-carotene and also a good source of vitamin C. Moreover, the berries are 13% protein, high in iron and help to build the blood. They are tonifying to the liver and kidneys and are good dietary top 10 superfood for anemic individuals. Today they are typically consumed as dried berries, eaten straight or used in shakes and elixir drinks. While fresh or dried goji is quite nutritious, to further release the beneficial nutrients specific to this super fruit, they do need to be simmered in water for several minutes. 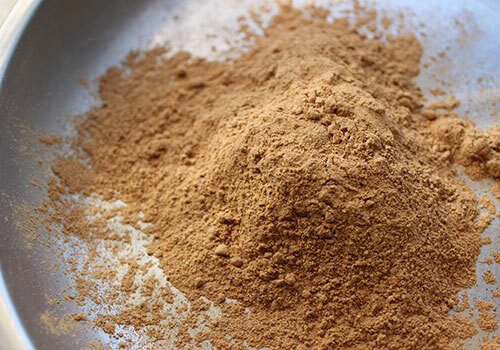 Maca is a radish-like tuber that grows at high elevations in the South American Andes mountains where it has been used as an adaptogen root vegetable for centuries. Often referred to as “Peruvian ginseng” for its energizing effects as a natural stimulant, the root is also known to increase sexual libido, normalize hormonal activity, improve fertility rate, regulate immune response as well as build muscle and strong bones. It is considerably important in today’s fast paced world that we include some form of adaptogenic herbs and tonics in the diet. Also referred to as rejuvenating herbs, rasayanas or restoratives, they are specifically known to increase the body’s resistance to daily stress factors, trauma, anxiety and fatigue. 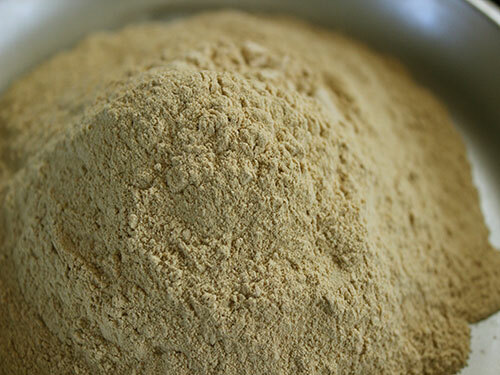 Maca is commonly imported to many countries as a raw or gelatinized powder. The heated gelatinized powders are now believed to have higher health benefits over raw versions, as processing removes the tough root fiber as well as the goitrogen content. 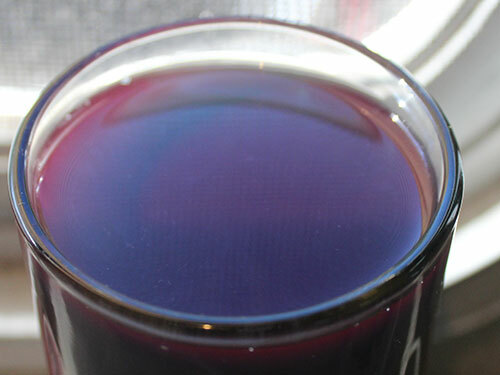 The powder can be added to shakes or hot tea elixirs. 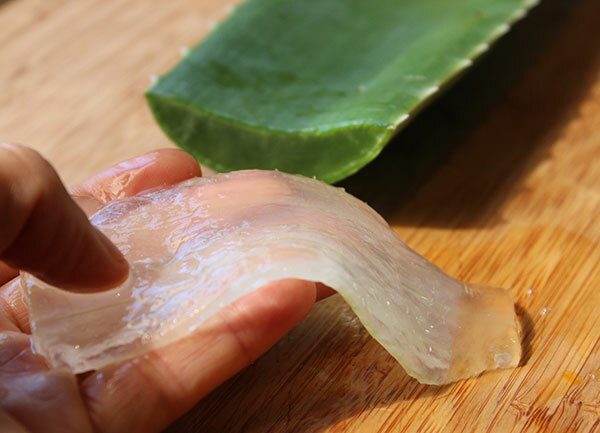 Many people around the world are familiar with aloe vera and its topical use as a skin moisturizer, but what many do not realize is that the inner gel fillet of the leaf can also be consumed as a highly nutritious food source. Commonly used in smoothies, it can also be blended into a variety of other drinks and sometimes recipes. Aloe is rich in glucomannans, a water soluble polysaccharide that is also a source of dietary fiber. Beneficial as a mild laxative, it is soothing and healing to the digestive tract, helps to neutralize an overly acid body pH and has a cooling effect on inflamed conditions such as colitis, ulcers, IBS, acid reflux and diverticulitis. It is important for the complete utilization of the foods we eat, to keep the body well hydrated and digestive tract running smoothly to prevent waste build up and constipation issues. Aloe vera gel, either fresh or bottled, can be an excellent way to ensure proper digestive functioning. These effects also help to purify the liver and detoxify the body, eliminating undigested waste material as well as toxins. Aloe is high in MSM content or plant-based sulfur and not only softens and beautifies the skin when applied directly, but also heals from the inside out, moisturizing the skin when consumed. 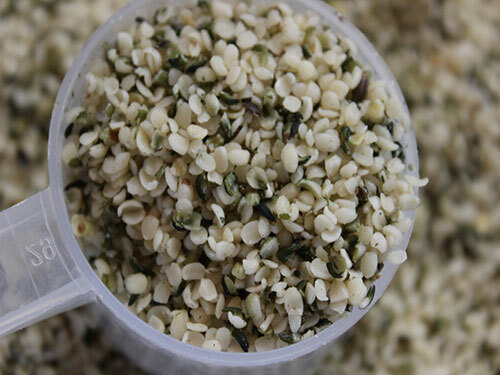 Hemp seeds and powders are a protein-rich top 10 superfood, containing between 35%-50% protein and include all essential amino acids needed by the body. Also particularly known for their high omega-3 content, they offer both omega-6 and omega-3 in a 4:1 ratio. It is good to include plenty of omega-3 fatty acids and oils in the diet on a regular basis for proper neurological functioning and inflammatory regulation. Hemp seeds additionally contain gamma linolenic acid (GLA) as well as magnesium providing for healthy skin, hair and bones. The seeds are high in quality globulin proteins with a high percentage of edestin (66%) and albumin (33%). Edestin comes from the Greek language meaning “edible” and is considered a very digestible form of protein exclusively unique to the shelled seeds of the hemp plant. Hemp seeds themselves are quite small, but when blended into drinks can provide a protein-rich bioavailable beverage with concentrated amounts of omega-3 phytonutrients. There are also many quality hemp protein powders available for use in protein shakes, frequently used as a dietary adjunct for body building workout regimens. Fo-ti root is an energy tonic adaptogen that modulates the hormones, tonifies kidney yin deficiency and liver weakness. Although it is an overall energizer to the body, fo-ti is slightly sedative in nature and calming to the nerves with building effects as an energy yin tonic, especially appropriate for anyone with adrenal fatigue or exhaustion. Regular consumption of the teas or extracts are particularly strengthening to the lower back and knees as well as fortifying to the bones, muscles and ligaments. 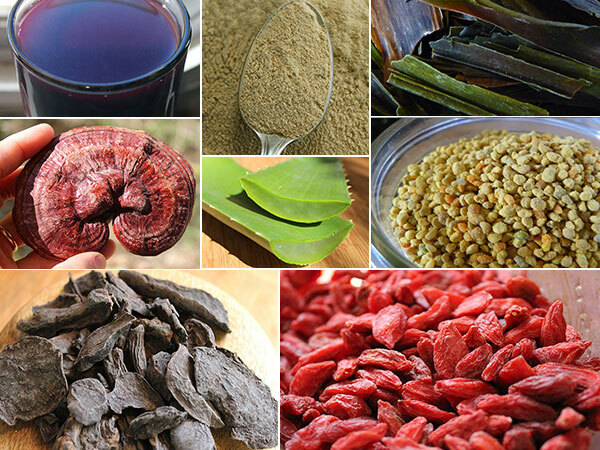 The root is mildly detoxifying to the liver, helps to purify and build the blood and is known to clear redness from the eyes (a sign of liver stagnation). Also called he sho wu, it is known to enhance sexual libido and is specifically nourishing to the reproductive system in both men and women. It is always important to use “prepared” fo-ti root herbs and supplements as opposed to raw dried fo-ti. 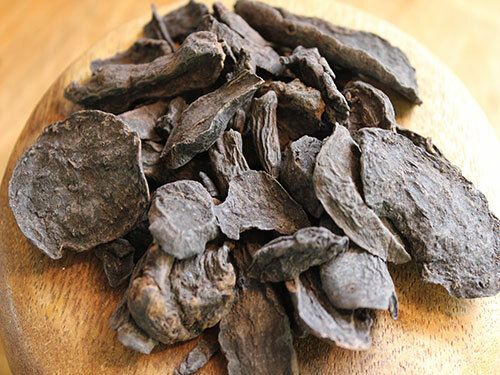 The dense dark root of the fo-ti plant can be simmered in water as a tea or can likewise be consumed as a hot water extract available as a powder or in capsule form. Kelp is one of the most nutritious seaweed varieties and, when nourished by clean nutrient-rich ocean waters, is one of the most potent sources of minerals available in the plant kingdom. We need the minerals from the foods we eat to assimilate other vitamins and nutrients. Because of unsustainable farming practices and low soil quality, it is much more challenging to get the required amount from store bought produce and foods. It is therefore recommended to add in some form of concentrated mineral supplementation to the diet on a regular basis. Kelp can be one of those options and also works to detoxify and neutralize environmental toxins we are commonly exposed to on a daily basis. Additionally, it is important that we consume adequate amounts of iodine through dietary sources on a regular basis to protect and detox the thyroid gland. 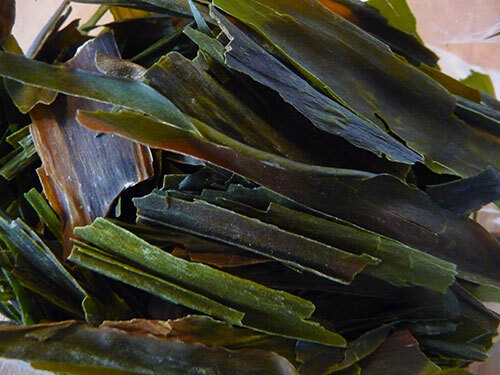 Kelp seaweed is renowned as one of the top sources of bioavailable iodine. It is often used as a nutritional adjunct for those with hypothyroidism, helping to alleviate the symptoms of daily fatigue, low metabolism and weight gain issues. Kelp can be used whole in cooked meals, as a raw powder added to foods as a salt replacement or taken in supplement form. It is important to purchase high quality seaweeds from reputable companies who harvest in clean ocean environments and test for radioactive isotopes and other toxic contaminants. 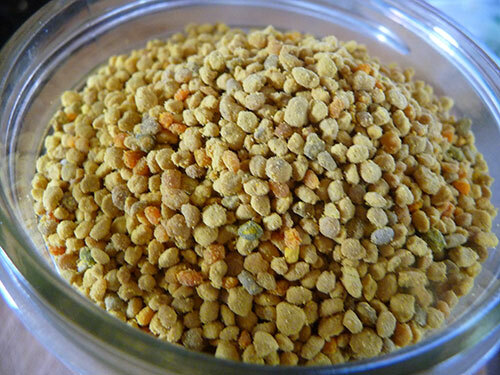 Bee pollen is a superfood created by one of the greatest creatures and master pollinators of the earth, the honeybee. It has been collected from bee hives and used since biblical times for its health enhancing properties and rejuvenating effects on the body. It is considered one of nature’s most complete and concentrated foods due to its full spectrum of nutrients, amino acids and enzyme content. Bee pollen is the caviar of top 10 superfoods and one of the best natural multivitamins available, usually taken in very small dosages. In the form of tiny golden granules, the pollen is a condensed energy enhancing source of protein packed with B vitamins and enzymes helpful for neurological and digestive functions. Bee pollen is approximately 40% protein, depending on the botanical source it was collected from and contains all essential amino acids as well as Vit. C, Vit. E, rutin, beta-carotene, nucleic acids, polysaccharides, lecithin and B vitamins, like folic acid. If you are new to bee pollen, it is good to start with tiny amounts, only a few granules at first, and build up to larger doses between 1/4t-1t or more over a week or two to make sure it works with your particular body type. In rare cases, some people have severe allergic reactions to the pollen when ingested. Camu camu berry is a tropical fruit from the Amazon known for its extremely high vitamin C content. Vit. C is an antioxidant helpful for boosting immune response, preventing oxidative stress and neutralizing the harmful effects of free radicals. Typically available as a powder for use in beverages and smoothies, it is a convenient way to significantly increase dietary vitamin C intake, an all important nutrient for the modern day lifestyle. Unlike many vitamin C supplements primarily composed of the active ascorbic acid ingredient, plant-based vitamin C is a complete and complex matrix of many different natural nutrients and compounds including co-enzymes, bioflavonoids and unique co-factors that help us absorb and effectively utilize ascorbic acid without causing harmful build-up in the body. The vitamin C, in camu camu is one of the best nutrients for the nervous system, brain, skin and eyes, and is useful for the biosynthesis of collagen, L-carnitine as well as certain neurotransmitters needed for optimal brain function. Vit. C deficiency can cause various symptoms like bruises, weak connective tissues, mental weariness and general fatigue. Also containing beta-carotene and anthocyanins flavonoid pigments, the dried berry powder is one of the most effective top 10 superfoods for the eyes and skin. Regular supplementation can further help to protect against autoimmune, degenerative and neurodegenerative disorders like chronic fatigue, macular degeneration and dementia. 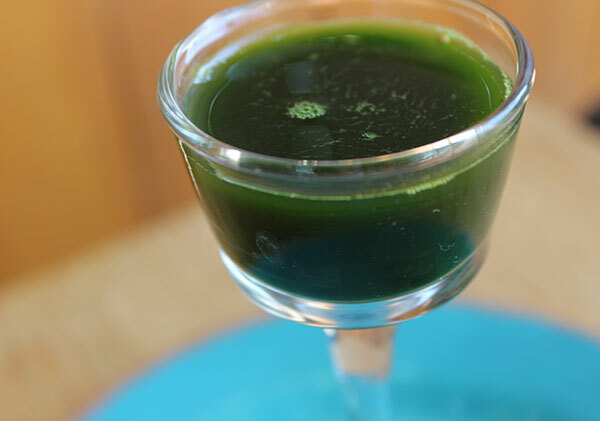 High among the top 10 superfoods are the green microalgae varieties. Taken in the form of powders, liquid solutions, tablets or capsules, edible algaes are wonderful nutrient-dense, chlorophyll-rich foods for detoxifying heavy metals, increasing physical energy as well as improving brain and nervous system function. Spirulina’s synthesis of sunlight converts concentrated amounts of protein more efficiently than any other living food. 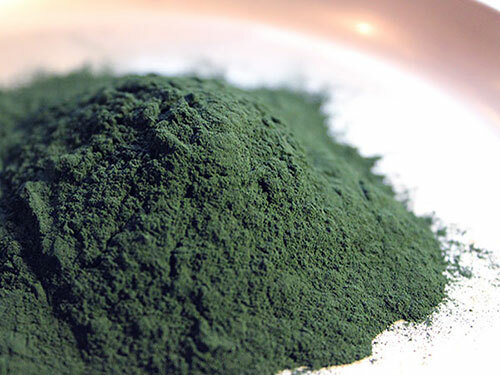 Spirulina powder offers an average total protein content of 60%, highest known in the plant world. In addition to protein, this algae is also a potent source of numerous other phytonutrients, antioxidants as well as essential vitamins and minerals, some of which include phycocyanin, zeaxanthin, beta-carotene, GLA and iron. Blue green algae or Aphanizomenon flos-aquae (AFA) is an edible, highly nutritious fresh water microalgae that contains a full array of phytonutrients, omega fatty acids, active enzymes, B vitamins, cartenoids and polysaccharides. There are also two unique brain-specific phytochemicals in AFA called phenylethylamine (PEA) and phycocyanin which help to increase brain power and enhance mood. Chlorella algae’s primary claim to fame among the top 10 superfoods is as a detoxification agent, helpful for removing toxic substances and heavy metals from the bloodstream and body. 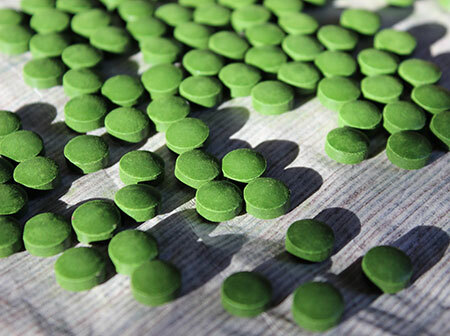 There have been a number of studies investigating chlorella’s ability to bind to and eliminate lead, cadmium and the high levels of mercury that can result from amalgam filling removal. Marine phytoplankton are the foundation of the oceanic food chain. Certain species in the last several decades have been studied valuable for human consumption and are now harvested from clean arctic seawater as a dietary supplement exclusively available as a purified liquid solution. Marine phytoplankton, with its wide array of phytonutrients, is very energizing to the body and supports healthy neurological functions. We are now living in an age of abundance where we have access to and can share top superfoods from around the world. 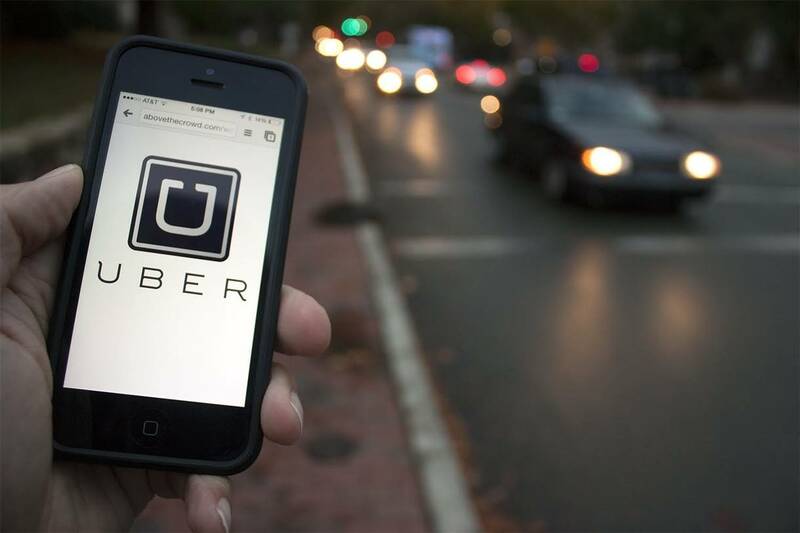 It is a time when technology, computers and communications systems are helping to spread information like never before in human history. This has created a beautiful blending of cultures merging together as one global community sharing long revered herbs, berries, plants and protein sources that have been traditionally used for centuries. Some of the top 10 superfoods offered on our list are in part a result of this cultural integration. They can be a great place to start for improving overall health, but there are also many other superfoods listed on the pages of this website that may be more specific for you and your unique constitution and health conditions. We always suggest using both logic and intuition as your guide to finding the best foods that work with your own individual body type and range of health conditions. Always consult your health care provider when making dietary changes, especially when taking prescription medications or experiencing extreme health challenges.